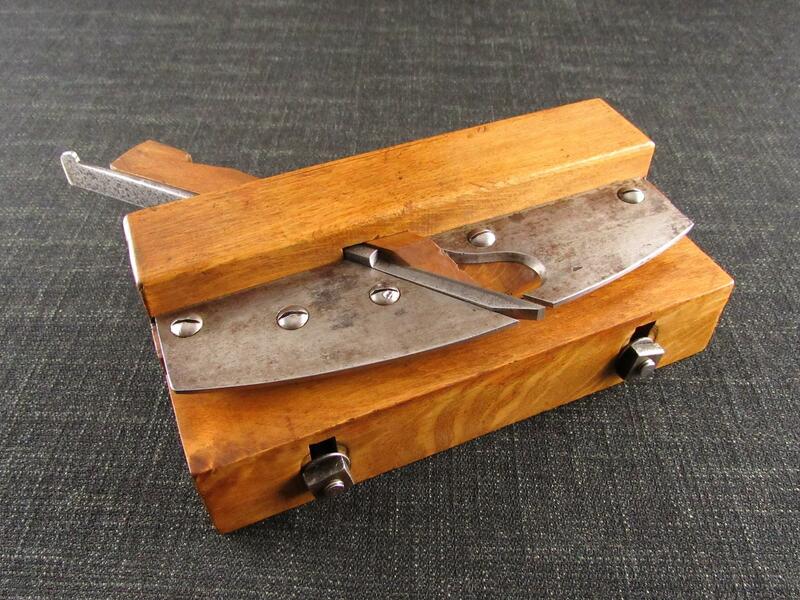 A good 20mm (3/4 inch) wooden rabbet or rebate plane by GOLDENBURG of France. 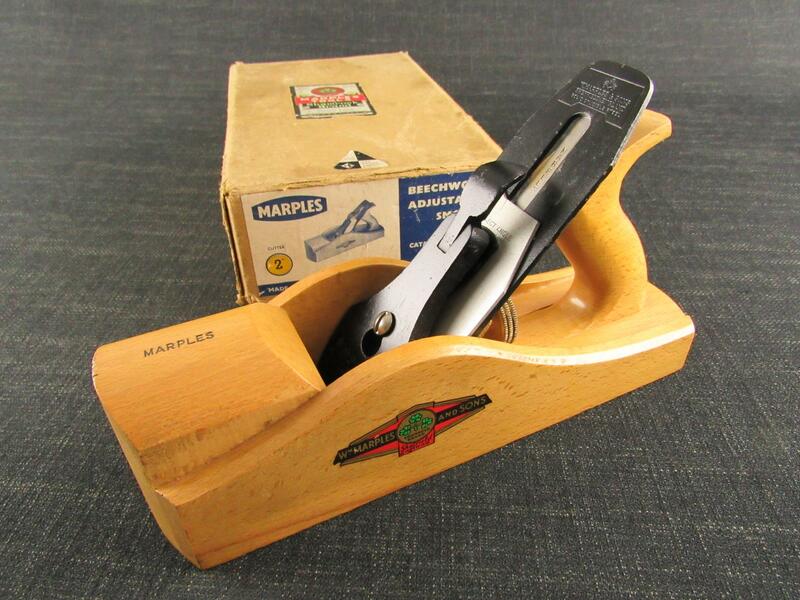 As it typical of the European wooden planes, this one is made up of two wood types. Usually cormier or beech for the main body with a more wear resistant hardwood for the sole. Marked 'SAR INDECOLLABLE' on the toe. Also stamped '20' referring to its width in millimeters. Fitted with a near full length blade iron marked '26 GOLDENBURG FRANCE' with the Eyes trade mark. Also marked 'P' on the reverse. 280mm (11 inches) overall length.